BJP MP Subramanian Swamy on Tuesday dropped a bad loan bombshell at industrialist Gautam Adani, calling him the “biggest NPA trapeze artiste in PSUs”. In a widely commented and shared tweet, Swamy said Adani, believed to be close to Prime Minister Narendra Modi, should be made accountable or he would file a public interest litigation in the court to recover bank loans from him. “The biggest NPA trapeze artiste in PSUs is Gautam Adani. 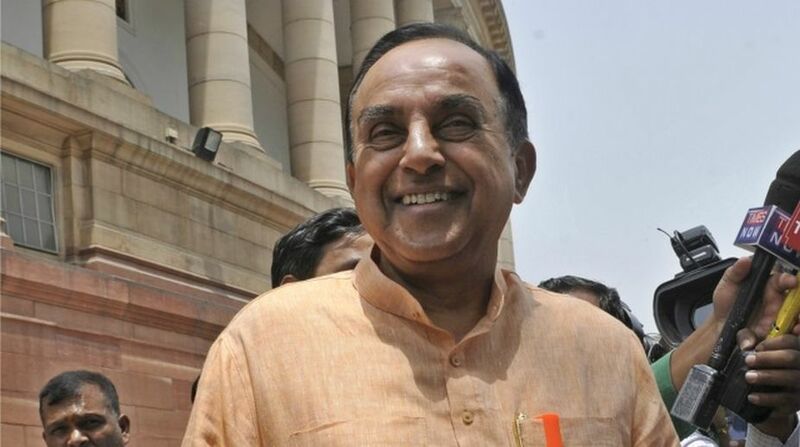 It is time he is made accountable or a PIL is inevitable,” Swamy tweeted. Adani’s firms allegedly owe thousands of crores of rupees to banks. The group’s interests include power generation and transmission, real estate and commodities. According to Bloomberg data, as of September 2017, Adani Power had a total debt of Rs 47,609.43 crore, Adani Transmission Rs 8,356.07 crore, Adani Ent Rs 22,424.44 crore and Adani Ports Rs 20.791.15 crore. The ports tycoon and his family’s networth was believed to be $11 billion in 2017 — making him the 10th richest man in India, according to Forbes.